U.K. 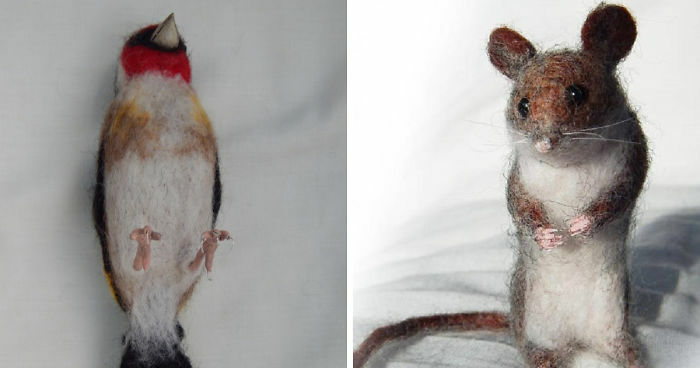 Artist and craftswoman Joolz Webb makes a living by stabbing realistic looking animals into life! 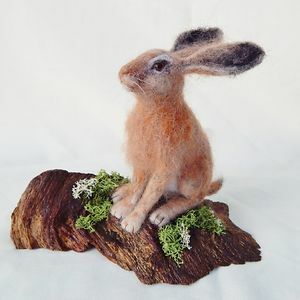 Joolz spends many hours working on her felted creations, using the process of ‘needle felting’, stabbing into wool fleece with a long, barbed needle. 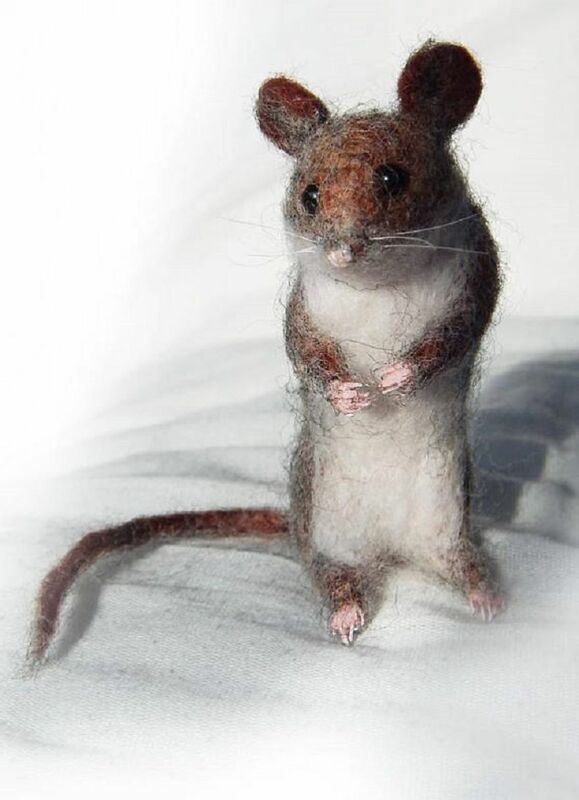 “I aim to create realistic-looking animals, so when I get towards the end of the process it can look a little weird and freaks some folks out! 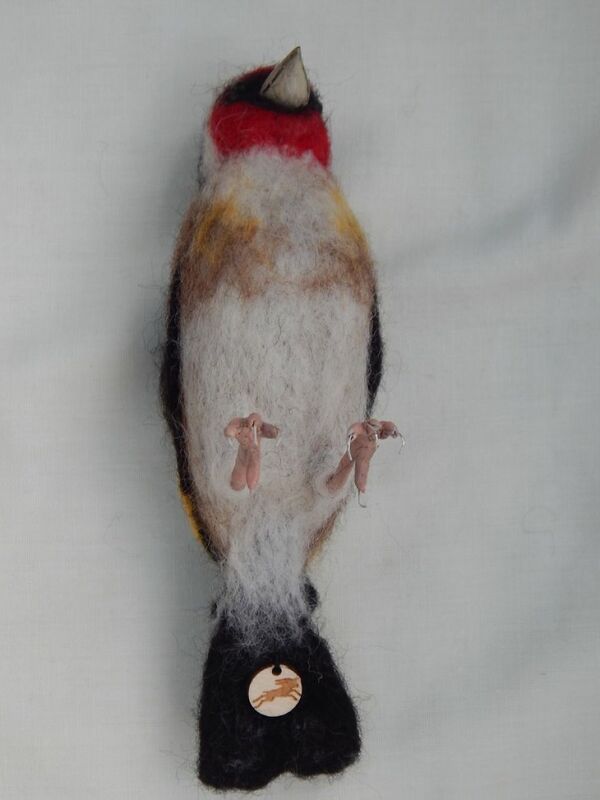 If I am making a life-sized mouse it can look like I am performing an operation on a real one. 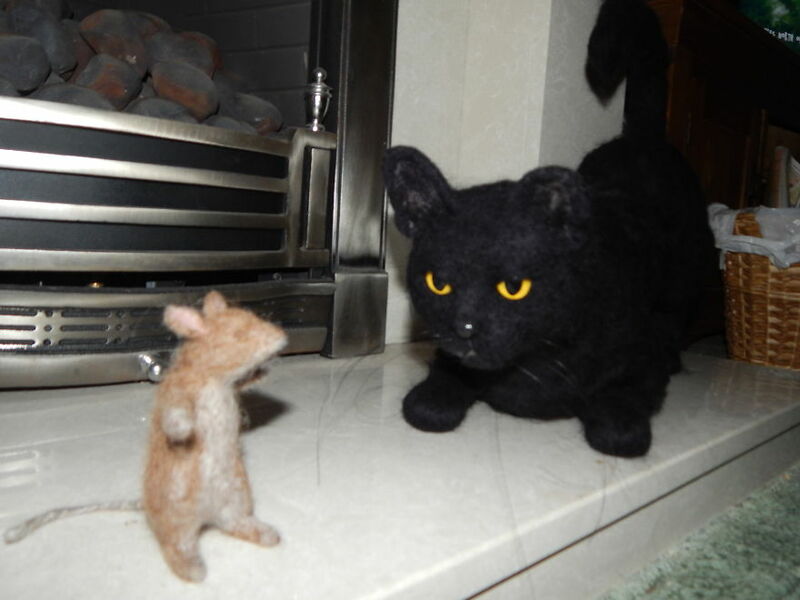 Joolz recently completed a commission for a life-sized black cat……… now that DID look spooky when she was adding the final touches, stabbing in ear fur and paws. Bet it turned a few heads when she was working ‘on-the-road’ too ! 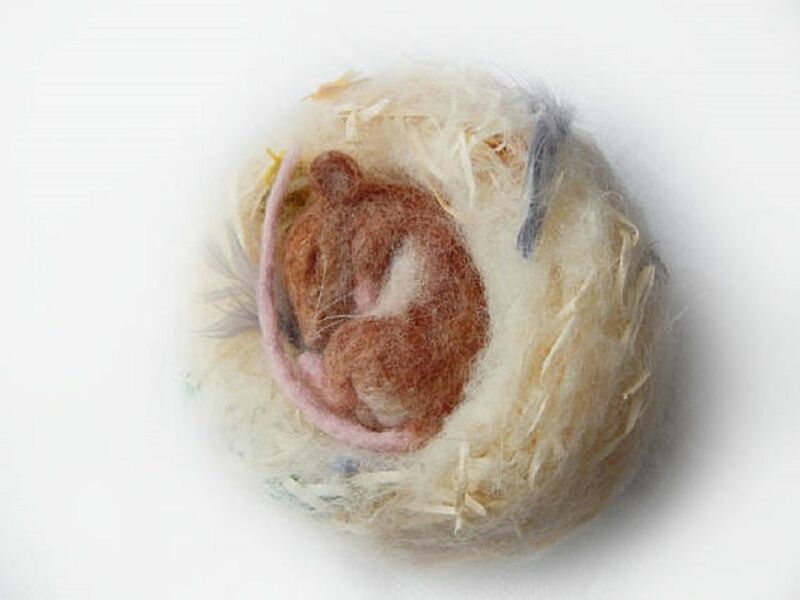 These felt animals and many other original creations can be found online and in several U.K. shops. Joolz trades under the name of Fleet Footed Hare.